With more than 100 works on display, “Andrew Wyeth: In Retrospect,” running Oct. 19 through Jan. 15, 2018, at the Seattle Art Museum, gives viewers a chance to see Wyeth whole and re-evaluate his stature as an artist. Andrew Wyeth’s painting, “Winter 1946,” drew me repeatedly to the North Carolina Museum of Art when I lived in Raleigh in the 1970s. It shows a teenage boy hurtling down a hillside that seems as unstable as the boy himself. The detail is fanatically controlled, yet speaks of chaotic freefall. Once glimpsed, it’s not easily forgotten. At the time, Wyeth (1917-2009) was deeply out of fashion. But I remember thinking that maybe fashion didn’t count for much if it could marginalize a tour-de-force like this. 10 a.m.-5 p.m. Wednesdays-Sundays, 10 a.m.-9 p.m. Thursdays, Oct. 19-Jan. 15, 2018. Seattle Art Museum, 1300 First Ave., Seattle; $14.95-$24.95 (206-654-3100 or www.seattleartmuseum.org). “Andrew Wyeth: In Retrospect,” running Oct. 19 through Jan. 15, 2018, at the Seattle Art Museum, gives viewers a chance to see Wyeth whole and re-evaluate his stature as an artist. Over 100 works will be on display. Half of them are from private collections and have rarely or never been seen except in reproduction. Created by SAM and the Brandywine River Museum of Art for the 100th anniversary of the artist’s birth, the show has a magnificent catalog to go with it, co-edited by Patricia Junker, SAM’s Ann M. Barwick Curator of American Art and Brandywine curator Audrey Lewis. The catalog contains crucial information on the paintings — including the fact that the model for the running boy in “Winter 1946” was among the first on the scene at the car crash that killed Wyeth’s father, illustrator N.C. Wyeth. The boy, we’re told, “pushed away the fierce dogs that had gathered to lick the blood” while he waited for firefighters to cut the body out of the wreckage. You don’t have to know these details to sense how psychically charged the painting is. And not every Wyeth painting has a such a traumatic tale behind it. But Junker and her collaborators stay alert to the undercurrents that powered Wyeth’s visual imagination. 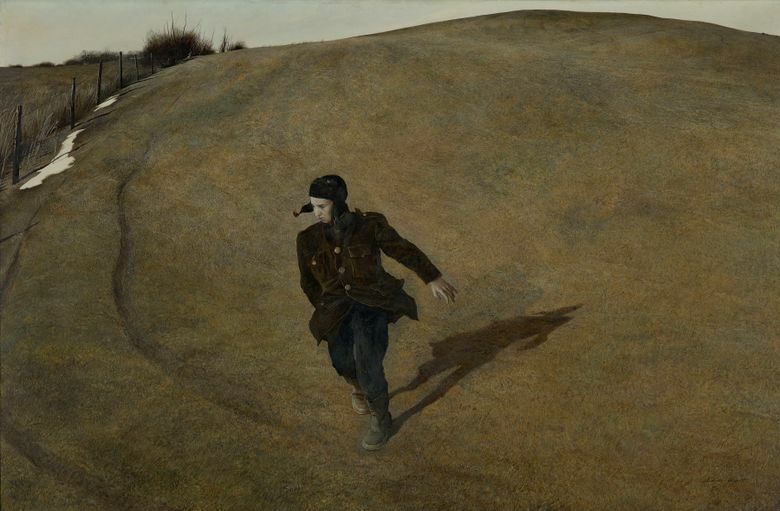 They also debunk the notion that Wyeth’s work was marred by sentimentality and unreflective naturalism. Junker’s first encounters with Wyeth came via the reproductions of his work that, starting in the late 1960s, could be found in college dorm rooms everywhere. 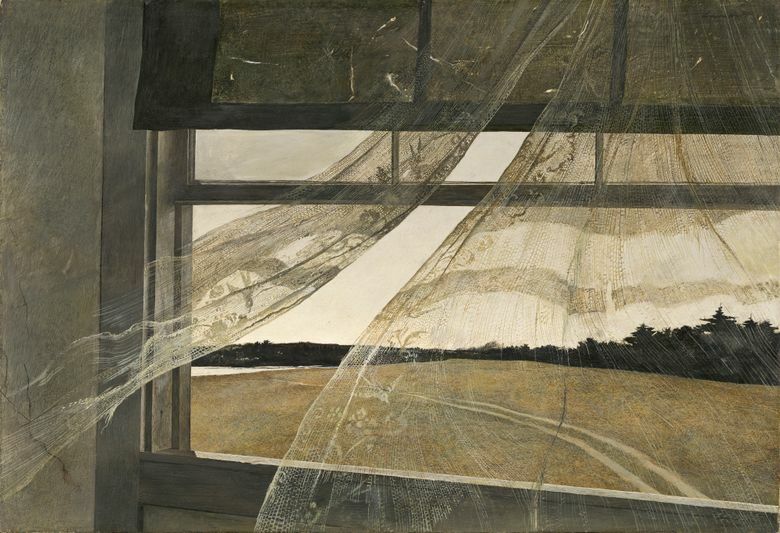 Her first encounter with a Wyeth painting in the flesh was an “exquisitely beautiful and puzzling” picture called “The Hunter” at the Toledo Museum of Art, which offers a disorienting through-the-treetops view of a distant hunter in a field. Decades later Junker, now at SAM, assembled a small show, “Andrew Wyeth: Remembrance,” that drew on Seattle collectors’ holdings of Wyeth works, including his famous nudes of his neighbor Helga Testorf. Created in secrecy, they caused a huge stir when they were revealed. In 2014, Junker gave a National Gallery of Art lecture on Wyeth that put her on the radar of the Brandywine River Museum of Art when it was looking for a partner to produce a centennial retrospective of Wyeth’s work. Junker and SAM jumped at Brandywine’s invitation to assemble an exhibit that would cover the full arc of Wyeth’s career. 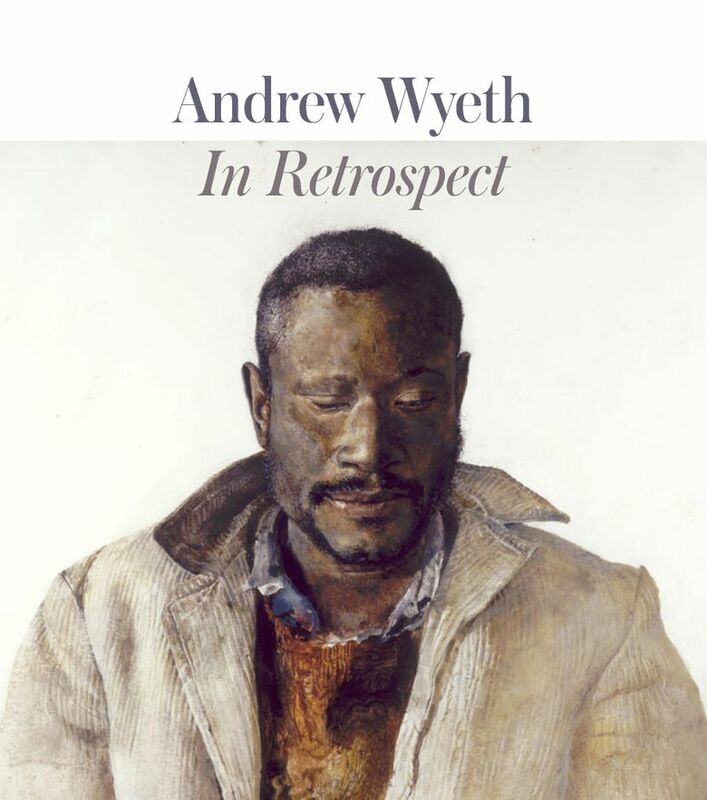 The catalog’s essays emphasize previously overlooked aspects of Wyeth. Henry Adams addresses the influence of film on his work (Wyeth was obsessed with King Vidor’s silent World War One epic, “The Big Parade”). Gwendolyn Dubois Shaw examines how “race and masquerade” figure in Wyeth’s frequent use of his African-American neighbors as models. The show also includes a sampling of Wyeth’s early watercolors, where Winslow Homer’s influence is marked. “I think that Wyeth … channeled Homer in interesting ways,” Junker says. With the public, Wyeth was always a popular painter. But in eras when abstract expressionism and pop art were ascendant, he sometimes came in for critical lambasting. Wyeth, oddly, refused to take a stance against abstract art when invited to do so by Edward Hopper in 1964. To his mind, a 6-foot by 6-foot nonobjective canvas was the best competition a realist painter could have. He even suggested that realism had become “paunchy from centuries of easy living.” In his best work, his distinctive palette and the eccentricities of his compositions take the paintings far beyond naturalism. Wyeth also battled charges of crass commercialism. This had much to do with his wife Betsy Wyeth, who named the paintings, marketed them and created a whole Wyeth publishing empire of reproductions and catalogs. “I think people were kind of put off by self-promotion,” Junker says. Wyeth himself saw it as a problem, and one reason for the secrecy surrounding the Helga project (apart from the possibility, still unconfirmed, that he was having an affair with Testorf) was that he wanted to see if he could do anything without being under Betsy’s influence. Because reproductions of his work circulated far more widely than the paintings themselves, Junker says, few people in recent years have had a chance to take true measure of his achievement. Younger people she talks to know his name, but don’t know the art. The SAM show promises to change that.